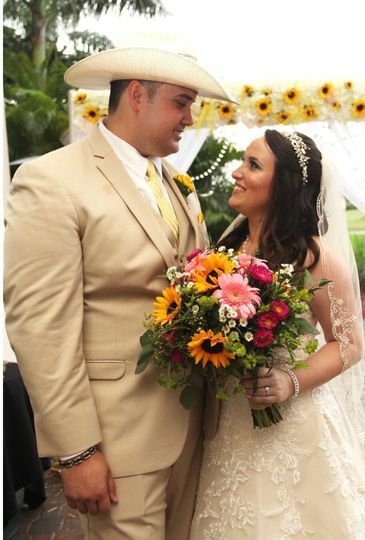 Sammy’s Suite Hair & Makeup is a full-service wedding salon based in Wellington, Florida. Samantha Nifakos, the owner and stylist, established the company in 2014. Sammy began her career at a salon in Palm Beach, where she was trained in hair extensions, custom hair coloring techniques, and bridal hair and makeup. 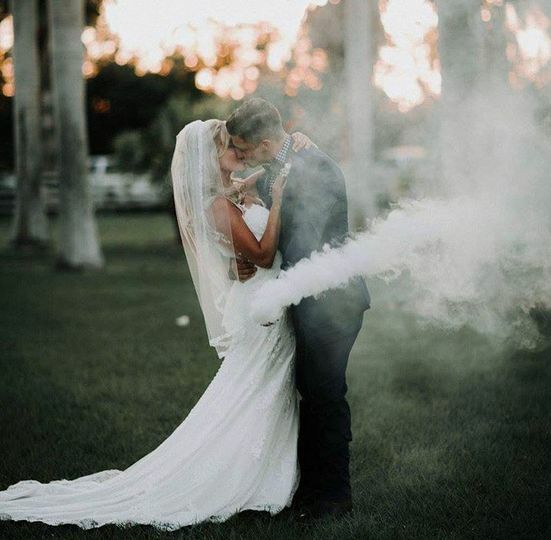 Sammy and her team of licensed hair and makeup artists can cater to all kinds of beauty needs for special events, providing everything from HD Airbrush makeup application to full hair extensions. 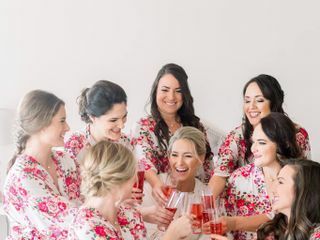 Known for highly personalized bridal styling with a keen eye for enhancing every client's best features, Sammy provides both in-salon and on-location service to wedding parties of up to 20 guests. 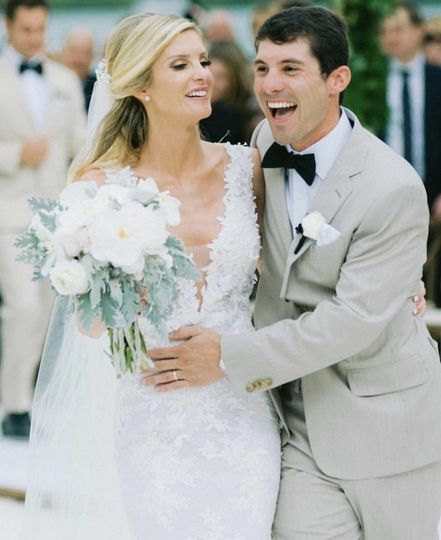 Happy couple on wedding day! Where do I even start! 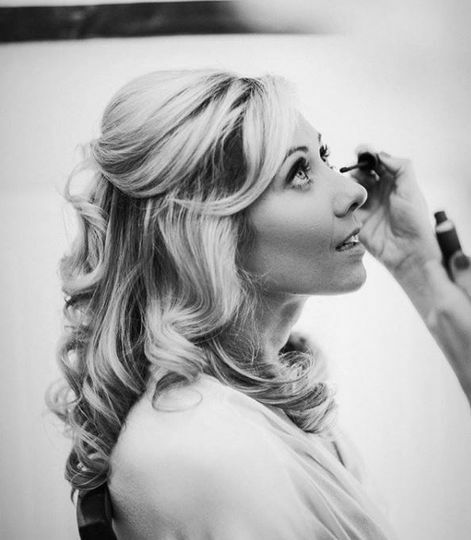 Sammy and Team did my hair and make-up for my wedding a few weeks ago. (March 17th, 2018). I’m going to be honest… I am not a girlie girl. I don’t wear much make-up… just foundation and mascara. When I found Sammy on “The Knot” I was amazed by her work. Then, to learn she had done hair and makeup for some of my friends on their wedding day. I KNEW I HAD TO HAVE THEIR TEAM! I quickly booked her! She responded immediately and answered all my questions! When I went for my hair and make trial, she offered many options and listened to what I wanted. I ended up with an up do! (LOVED IT!) After talked to friends and family, I went back for a 2nd hair trial because others suggested maybe half up and half down. Once again, Sammy and Ashley were patient and gave me yet another awesome hairstyle! 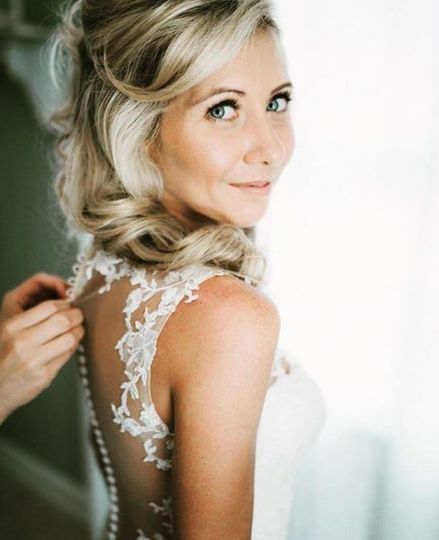 On my wedding day… I still didn’t know the right way to wear my hair. (It was a Cinderella theme wedding.) Should I wear it up? Down? Half up and have down? I had no clue. Sammy and team was patient with me and suggested I wear it up. They knew what they were talking about! When I was finished with my hair and make-up, I almost cried with pure happiness and excitement. Sammy and Ashley made me look just like Cinderella. 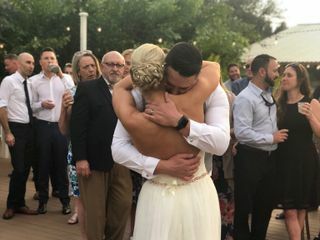 She made me gain confidence I didn’t know I had, made my mom and friends tear up, and most of all… made my now husband cry at the altar. The whole night I felt like a Disney princess! There are no words to explain how I felt. Sammy and Ashley were my fairy godmothers. 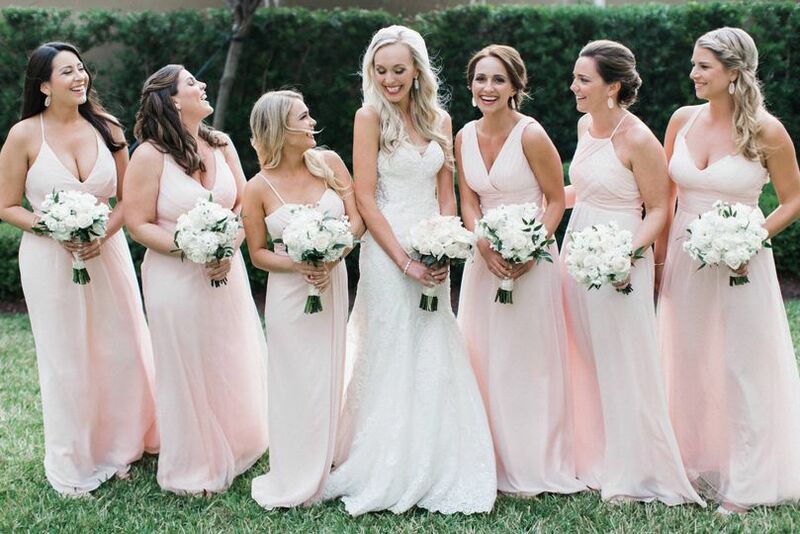 They made not only myself feel and look like a princess, but my bridesmaids looked just as good! While I was waiting to get ready, I was walking around with my jaw dropped, just staring at how beautiful and gorgeous each one looked! Sammy captured their best features with her stunning make-up and Ashley did hairstyles that were amazing and comfortable! They were flawless! 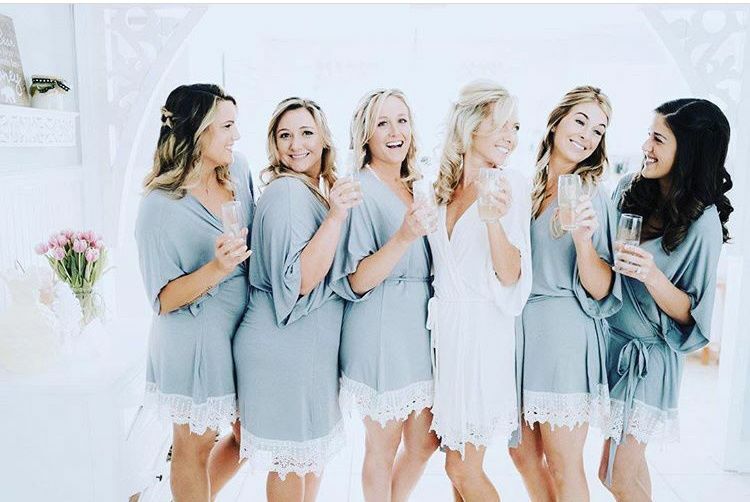 Each one of my bridesmaids felt beautiful and confident as well! Ashley and Emily did a phenomenal job! They kept us on time and I didn’t have to stress about our hair timeline at all. Since there was ten of us total, I asked for 2 stylists and they were so accommodating. My hair somehow turned out even better then the trial and it stayed in place all night (this is a big feat for my hair). Everyone honestly loved their hair. Thank you for making everyone feel beautiful! 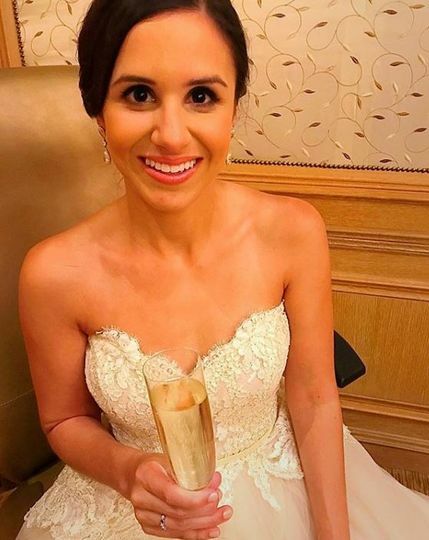 Makeup was amazing for my wedding. Last all night! Pleasure to work with.